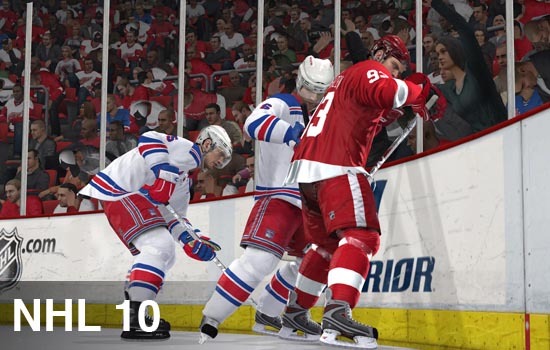 It's hard to believe how far we've come in terms of hockey video games. I actually own an original copy of the first EA Sport's Original NHL Hockey game on PC, it's sitting next to me as I write this. With it came a gigantic book with all the NHL stats for the prior year, hockey records, and of course the game. It was a time when players were numbers, teams were cities, and players heads bled on the ice. Oh how far we've come. EA Sports' 18th entry into the video game hockey world is their most complete game to date, but as with any sports game there is always room for improvement, right? The Be a Pro mode returns to NHL 10, a feature made famous by last years game. 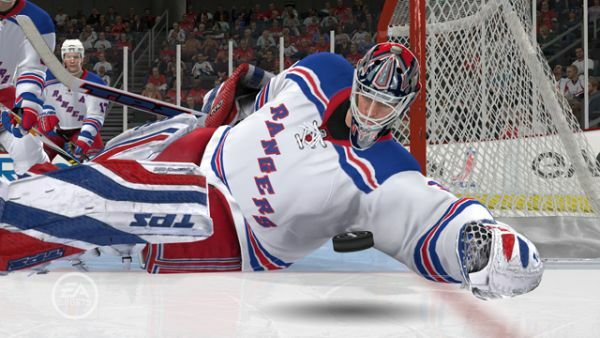 In this mode players create a skater and experience a hockey game from their perspective and only their perspective; this player can then be brought online for competitive and co-op play. Along with this mode returns most of the familiar game types like shootout, practice, franchises, GM, and the new Battle for the Cup mode. Features wise there's a few new tricks in EA's bag, one that is long overdue is the addition of board play. Now players can pin a player to the boards, fight for the puck and scrum to kick it out. It's a piece of the hockey puzzle that's been sorely missing and one that adds an entirely new dimension to the game. Another realistic addition is post whistle scrums. Players can beat up on each other a bit, including face washes, post whistle to try to draw a penalty. Passing has always been iffy since EA switched to the dual analog control scheme, now there is full precision passing, which means you can pass the puck in any direction on the ice. Finally you can pass up off the boards around an opposing player to start the rush! EA's games have become more dynamic experiences lately, with full online integration for leagues, stats, real sports scores, and web content. One thing we find with this year's game is the ability to download "tuners" - the slider settings help tune the game to your style of play. Online also includes leagues, Be a Pro leagues, VS, Team Play and more. Sadly traditional style co-op play is missing as there must be at least one player on the opposing team to play online. Hopefully this is something EA can remedy in the future, because offline this works just fine. There is some online co-op, even though it doesn't fit our traditional definition of it, in the Be A Pro mode called EASHL. The EA Sports Hockey League, a place where players can create custom teams of their Be A Pro players, is as close to co-op as you can get. Teams can have a few dozen real players on it, and games can be played with up six players on a team at a time. Like the offline mode of Be A Pro, players are locked to their position. It's a total cooperative and team effort as you try to overcome opponents of two or more players. The nice thing about this mode is you don't actually have to chat with the opposing team, only your team mates. The game tracks stats over time, players in the league can play at anytime, and there's monthly battles for the Stanley Cup and unique equipment for your skater. The experience in this mode is nothing short of awesome, it's an incredibly tense and exhilarating experience. When a team is working together and you hear constant communication, it sounds like a real hockey game down on the ice. "Quick up the boards, I'm open." "Drop it, drop it. Crash! CRASH CRASH!" "Watch 77, WATCH 77! HIT HIM HIT HIM!" I've even heard teammates congratulate each other on nice hits, and shots. And lets not forget the new first person fighting and having that happen with your teammates there to cheer you on. Page created in 0.8347 seconds.